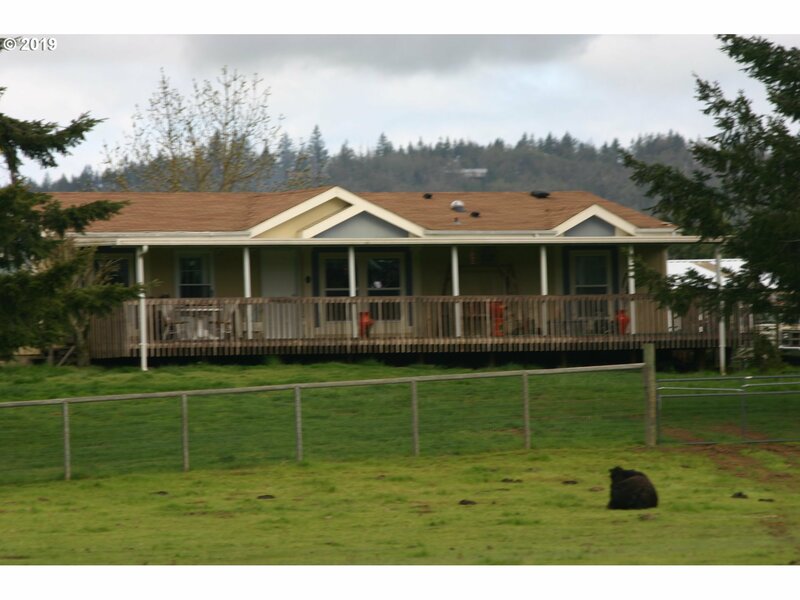 Multiple outbuildings make this 5-acre mini-ranch very functional. 36x24 shop w/ concrete floor, 23x25 oversized 2-car garage w/ concrete floor, 27x13 feeder barn, 25x29 tack building, 29x21 hay barn (450+ bale storage), 9x33 chix coop & run, x-fence Property set up for horses & a few cattle. 29x31' hay barn (450+ bales), 13x27 feeder barn, 19x25' tack room, 36x24' shop with concrete floor, 23x25' 2-car garage with openers & concrete floor, 9x33' chicken coop & run, all set up on 5.02 acres with seasonal pond & UBW certificate included with sale. Well kept 2005 Palm Harbor home with electronic security gate on 5 level acres. Concrete ramp to main covered deck.